The timeless black belt gets an eclectic update this season with the new intrecciato bubbles workmanship. 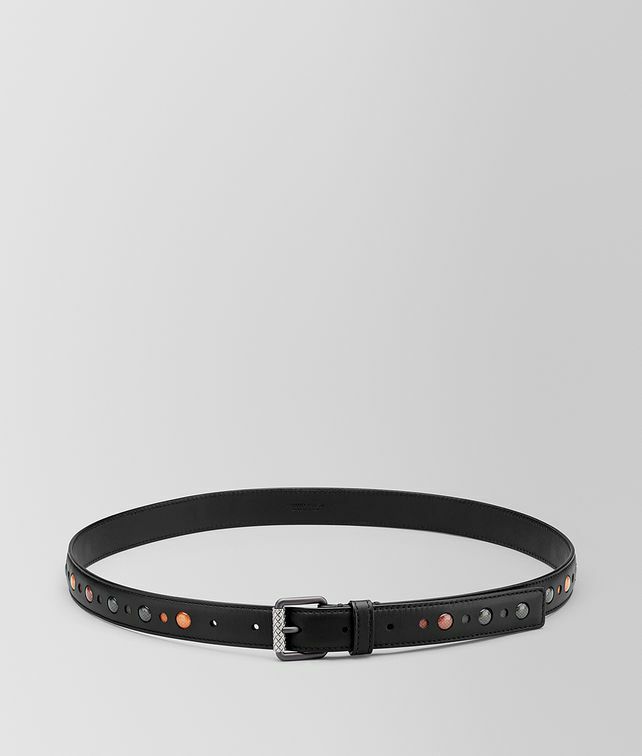 The belt features circles of coloured canvas topped with clear resin lenses that adorn the length of the belt. The style is lined in calf leather and accented with a simple brunito-finish buckle that is engraved with our intrecciato pattern. Height: 2.5 cm | 1"